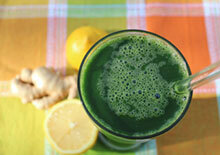 Many people today are juicing for weight loss and achieving amazing results. Not only can you lose a considerable amount of weight on a raw vegan diet, but super juicing offers another approach to sculpting the "natural you." 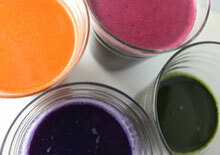 The simple process of integrating fresh, raw juices into your diet, with delicious juicing recipes, can be life changing. Not only will you look amazing, but more importantly, imagine what it will feel like when you are no longer dragging around pounds of weight you don't need. Too much body fat has its physiological impacts as well as physical, which can hinder one's own growth and personal evolvement. Why does juicing for weight loss work? The answer is simple. First, vegetable and fruit juices are fat free and have few calories. 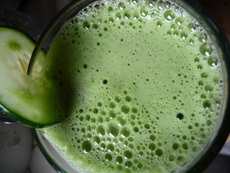 Second, fresh, raw juices also satisfy cravings for high calorie foods because your cells are nutritionally "full." This is especially the case after the first day or so of drinking only juice and your body adjusts and releases toxins from the bloodstream. One of the big reasons why we even crave unhealthy filler foods is because our cells are communicating to us that we need more essential nourishment. When we don't get the vitamins and minerals our bodies need, we want junk food or refined, processed starches and sugars. If you choose to do a straight juice fast, you will be drinking just liquids for a period of time. This allows the body to catch up with undigested food waste and also provides you with an abundance of nutrients without any calories. In the market for a juicer? 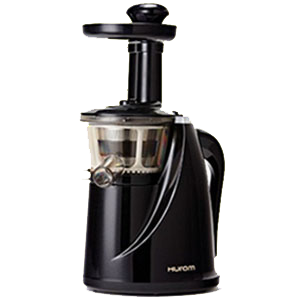 Learn more about the different types of juicers available in the link at the bottom of this page. Juicing for weight loss provides a natural body cleansing effect as toxins are carried out of the tissues and the body via the stool, urine, and sweat. One of the flaws of many weight loss diets is that they do not provide long term weight balance. Lifestyle changes must become a permanent part of one's daily routine. This involves exercising and eating more appropriate foods for the amount of energy expended. When you juice for health everyday you will see the results on the outside, but more importantly feel them on the inside. Many people find that through the process of juice fasting they are able to relate to food and the food choices they make after a fast in a different and better way. Comfort food or emotional eating is either significantly reduced or replaced with healthier options. Many find that old junk foods they use to eat simply do not look as attractive as they once did. Overtime the taste buds will be satisfied with natural whole foods as opposed to chemical enhanced and processed ones. Here are a few different approaches, depending on where you are at health wise. 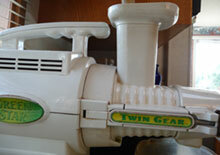 This could involve anything from a short 1 day juicing experience or a 90 day juice fasting program. 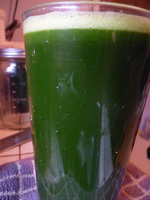 1) One Day Juice Fast - give it a try and see how you feel, it is a great way to experiment for beginners. 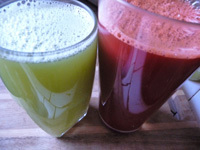 3) Juice Cleansing - sometimes mono juicing one particular vegetable at a time can be a beneficial alternative, depending on your unique health objectives. 4) Juice Fasting - learn more about the benefits of juice fasting and how to juice fast effectively. For some people a short or long water fast might be appropriate. This could involve starting out and ending with drinking green juices only. 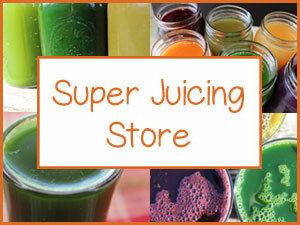 Drinking juice throughout the day, on any kind of diet, will reveal significant results fast. 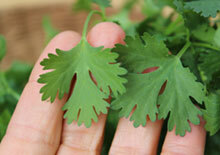 However, the process speeds up significantly when also adhering to a raw food diet plan for a period of time. 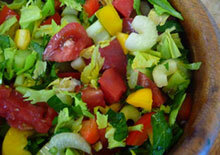 This includes eating mostly fruits, veggies, nuts and seeds in addition to plenty of organic juicing liquid. We all pretty much know that the most effective way to reduce those extra pounds is to eat less food and burn more calories through an exercise program. Again, the "quality of food" we consume on a regular basis is important for continued success and body weight maintenance. Carbohydrates are the killer for weight gain issues: starchy processed, filler foods that are lower in quality as well as nutrient value. As we mentioned, periodic juice fasting can drastically help to make real whole foods taste amazing, helping you to let go of bad eating habits that really do not serve the person inside you that wants to, not only look great, but FEEL great! 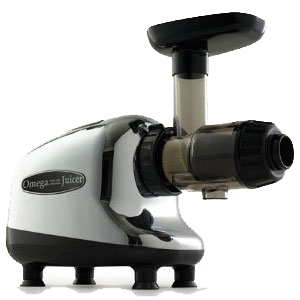 There are several types of juicer models out there. 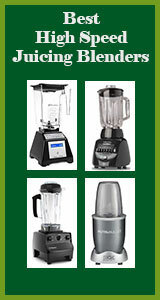 Our personal favorite is the green star juicer. We have had ours for 9 years and love it! It comes in a few different models with basic to more deluxe features. 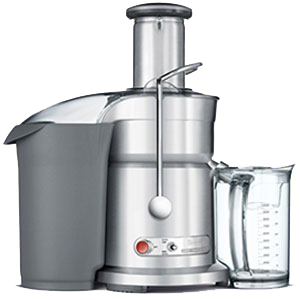 However, there are other juicers out there that might fit with your lifestyle needs more than the Green Star. Some juice very fast and don't require you to chop your veggies or fruits. Other models are easier to clean. 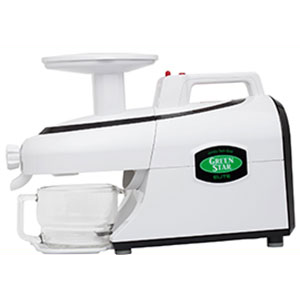 But, from our experience, the Green Star juicer is where it is AT for the best quality juicing liquid. 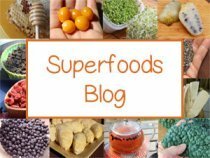 There are many dietary superfood powders you can additionally add to your juicing recipes. 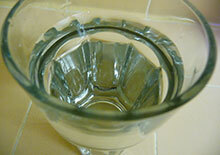 You can do this by mixing a spoonful of powder into the jar and shaking it up with a lid to fully dissolve it. 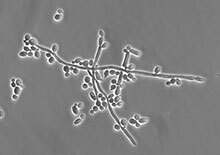 Try adding in micro-algae powders or Vitamineral Green to your fresh juice as they can be great for those with severe mineral depletion, which is often the case when excess weight is a problem. 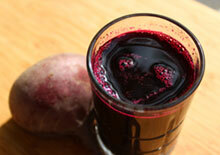 Also see our benefits of beet juice page (in the link below) for detoxification and rebuilding your blood cells.